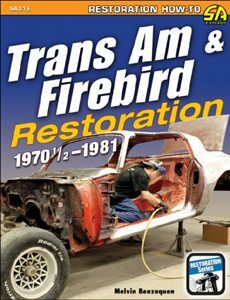 The electrical system in your Firebird is the key to making the mechanical components operate at their best. 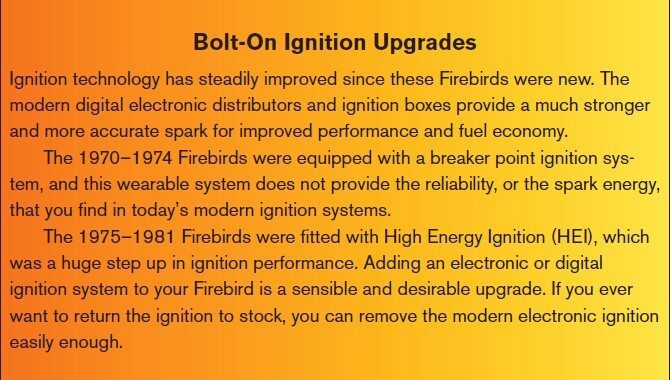 Like the rest of your Firebird, the electrical system has aged over the course of three or more decades. Electrical wiring, terminals, gauges, interior lights, relays, and any number of the electrical components have been subjected to the ravages of time and, in some cases, the elements. You need to do a thorough visual inspection of the electrical connectors, wiring, connectors, and other components. When the plastic casings and wires age, they become brittle so that the wiring can snap, fray, or become damaged. As wiring becomes older, it puts out more resistance and generates more heat; that is not a good thing. 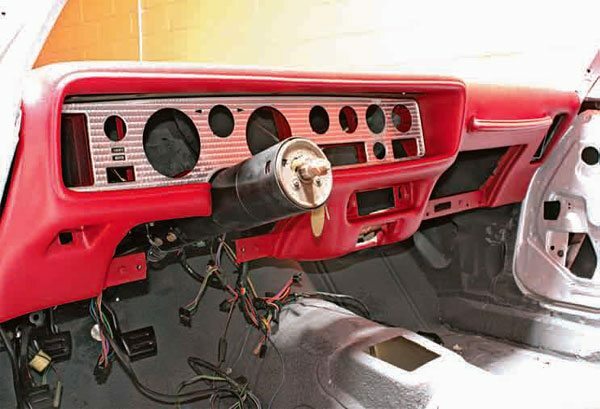 The dash harness is the main nerve center of the Firebird, so it’s critical to install it correctly. A consistent electrical load and weather can severely impact the health and performance of the main wiring harness. After three decades, wires become brittle, worn, and sometimes stripped. Often the main wiring needs to be replaced. Make sure you take the proper safety precautions before you start working on the electrical system. Generally, you should disconnect the negative battery terminal so the electrical system is not live to avoid electrical system damage and prevent an electrical shock. If you’re doing mechanical work and fuel is around, you don’t want an arcing electrical system to create a fire. Keep in mind that you need to be careful when working around a lead-acid battery. You don’t want to take any chances with battery acid. And always wear proper eye protection! The wiring harness is the spine, or backbone, of the electrical system. As a rule, if you have an original wiring harness, it should be replaced. Electrical harnesses provide information to the gauges about the status of the engine and also provide creature comforts to the driver and passengers. The electrical harness needs to be in good condition for the electrical system to function as designed and operate at its best. As your Firebird has aged so has the wiring harness. Depending on where your Firebird has spent the majority of its life, the condition of your harness can vary wildly. Southern climates tend to dry out the harnesses, causing them to become brittle. Northern climates tend to corrode the harnesses, especially at the connectors. Even if none of the climatic exposures have seriously compromised your harness, it still generally needs numerous repairs. Stereo changes, backyard fixes, aluminum foil for fuses, and added electrical components greatly compromise the integrity of the electrical system. In most cases, these old harnesses need to be replaced, and keep in mind that if your harness fails and causes an unprotected electrical arc, it can lead to fire. Deciding whether or not you can tackle the repairs on your electrical system greatly depends on your understanding of how electrical systems work. Unfortunately, diagnosing an electrical problem is not as simple as finding a blown fuse. If you do find a fuse is blown, simply replacing it usually does not solve the issue. Fuses do not fail without a reason. Many things can cause a blown fuse: A gauge has gone bad, a ground issue, or a spike in the power system. Electrical systems are time consuming and, in some cases, challenging to diagnose. If you are replacing the harnesses, you most likely do not require the services of a shop. Replacing the harnesses is basically a plug and play. All routing of the harnesses should be in the same layout as those you remove. Stock replacement harnesses are available from Ames Performance, American Autowire, and other distributors. I do not recommend using any harness unless it is a direct reproduction. Painless and Ron Francis provide excellent harnesses. They do not correctly replicate the factory harnesses, but their harnesses can be used on modified cars that carry modern accessories and require more electrical current. When you order a replacement harness, you must specify the options on your car. To perform basic checks, you need a test light and a multimeter. A multimeter comes with instructions on how to use it. Perform a continuity test to determine if a circuit is open or closed. If a circuit is open, then the circuit is off. If the circuit is closed, the circuit is on. An open circuit is not conducting electricity. A closed circuit has continuity. Troubleshooting electrical problems for ignition switches, lights, and motors can be handled with some basic tips. The ignition switch in a car is just like any other low-voltage, multipole electrical switch, except that a car key turns it rather than a lever. Ignition switches have four basic positions: START, RUN, ACCESSORY, and OFF. Most electrical systems remain live in the OFF position so it is a good idea to always disconnect the battery at the ground cable when working on the electrical system. When you turn the key to START, you have to keep it in place against a spring force, and as soon as you release the key, it returns to the RUN position. The main difference between START and RUN is that the START position powers the starter system. Leaving the key in the RUN position powers all of the electrical systems in the car, except for the starter. The only circuit required to keep the engine running is the coil, which provides voltage to the spark plugs. If your battery goes dead or the engine starts misfiring, especially at night, it is probably because the alternator is not charging. 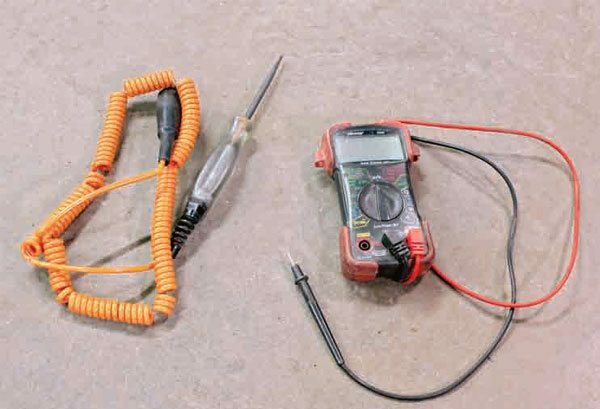 When the key is turned to RUN, the multimeter should indicate approximately 12.6 to 13.6 volts at the positive terminal of the coil. If there is not any indication of voltage, the system likely has an open circuit between the positive side of the battery and the positive side of the coil. That problem could be in the wiring, the ignition switch, or the coil. If you have a starting issue, be sure that all of the accessories are operating properly with the switch in RUN. If the accessories such as the wipers, radio, fan motor, etc. work and you cannot get the Firebird to start, you most likely have a problem in the starter wiring. It is possible the car doesn’t start due to failed points, coil, or solenoid. 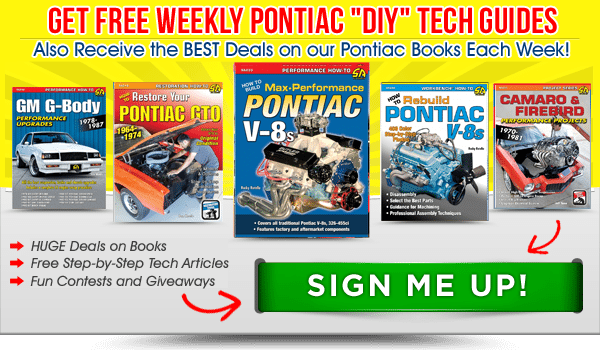 One of the tools you need to troubleshoot car-wiring problems is a simple multimeter. You can purchase a multifunction digital multimeter at a tool supply store. Bear in mind that the electrical system also provides power to mechanical devices. It is important to check the mechanical component for proper operation before trying to diagnose a wiring harness problem. Using an alternative power source such as a battery jump box is one of the best ways to check the operation of these components. You could also run wires from the battery to check the function of the component. The electrical system includes relays, fuses, and fusible links. The purpose of an electrical relay in a car is to switch a higher current. For example, the circuit that runs from the ignition switch to the relay actuates the relay, which connects the battery power to the device. The starter system typically has a relay in it. High draw-power options such as A/C and power windows usually have relays in place to control the power. If your issue is not with the starter, maybe one or more accessories have stopped working. The first thing to check is the fuse. The fuse box is accessible under the dash to the left of the brake pedal. It is clearly labeled with the circuit that the fuse protects along with the proper amp fuse. Check the fuse by removing it and verifying that the wire in the glass is not broken. The fuse, depending on the amperage, may either have a twisted thin wire or a broad flat-metal strip in it. Any breakage should be visible. Sometimes, if the failure was particularly violent, the glass is dark. You can be sure it is blown. If the fuse is good, verify you have 12 volts on the terminal of the electrical motor. If the terminal has 12 volts, be sure that the device has ground. There may be a separate ground wire or it may be grounded to the body. If the component has power and ground and it still does not work, you must consider that the device has failed or the switch failed.